​Welcome to the Friendliest Club in our District! ​March 3, 1939, is planning to install a distinctive clock outside the Hagaman Memorial Library. “We want to get word out to recognize 80 years of service to the town of East Haven,” East Haven Rotary President Bill Richardson said. In 2005, the club embarked on a similar project to mark the 100th anniversary of Rotary International by installing the fountain on Main Street. 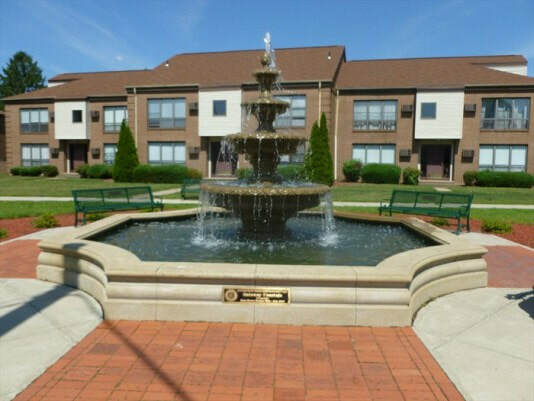 The fountain was paid for in part by selling engraved paving stones for $75 to $135 apiece. The clock, which the Rotary expects will cost $21,000 to install, will be funded in a similar way. The Rotary will sell off 100 spots for donor names that will appear on the side of the clock. Though the price per name has not yet been set, donations can be made through paypal by visiting www.easthavenrotary.org. A few paving stones for the fountain project are also available. “This will be a great way to honor past Rotarians, civic leaders, and loved ones from East Haven,” Richardson said. “[At first] they almost treated it like a network club where...because they were very strict for years that you could only have one lawyer, one plumber, one school teacher or whatever,” said Frank Gentilesco, the club’s publicity chairperson. Members were required to attend Rotary meetings on a weekly basis, even attending meetings in other towns when away from home. The commitment involved with this policy, Gentilesco said, affected the club’s ability to recruit new members. “Since then, things have evolved tremendously in the Rotary,” Parente said. While originally founded as a men’s organization, in 1989 Rotary International allowed women to join, a change that slowly took root in East Haven’s club. Today, the East Haven Rotary boasts 33 members, 18 of whom are women, the most the club has ever had. Together, the club has embarked on numerous yearly fundraisers in service of the town, most recently with its Clothe the Children drive, which partners with Kohl’s and local schools to purchase new clothes for children in need. The Rotary serves East Haven’s children with its annual breakfasts with Santa and the Easter Bunny. It also has a Student of the Month and a Student of the Year award for East Haven students. Are you ready to make history with us? 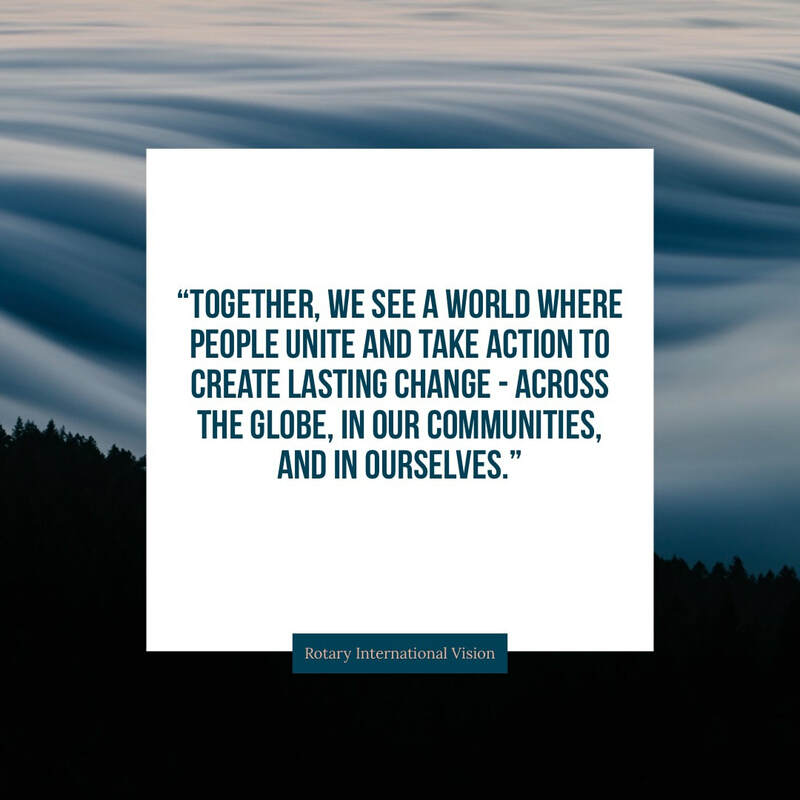 Join Rotary Today! Donated by East Haven Rotary, in 2005, to celebrate 100 years of Rotary International. Located in the center of town across from the Old Stone Church. Over 150 volunteers showed up on their day off to pack the high protein meals that will be distributed to the people of Dayere, a small rural community in Haiti. The meals will be shipped this summer to the people of Dayere. 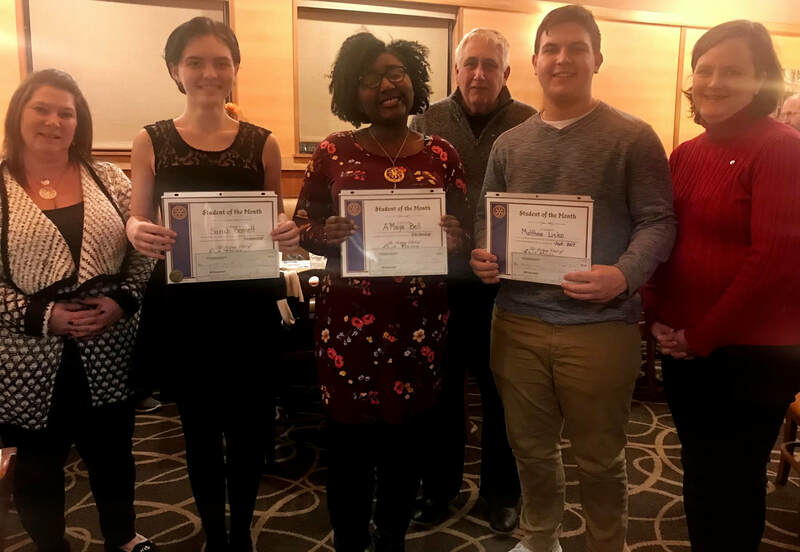 The East Haven Rotary Club recently recognized three East Haven High School students as their most recent recipients of the club's Student of the Month program. certificate and a check for $ 100. Winners then become eligible for the $1000 Jack Leary Memorial scholarship to be awarded at the end of their senior year. Our club is hosting its 8th annual “Breakfast with the Easter Bunny”. ​Breakfast includes pancakes and sausage, juice and coffee. Amber Alert ID cards will be offered and other activities will be available to explore. The Easter Bunny will be greeting every child and giving each a special Easter treat. ​Children 8 years of age and younger will be admitted free. Admission for adults and children over 8 will be $ 5 per person, with all proceeds going to the East Haven Rotary Club.